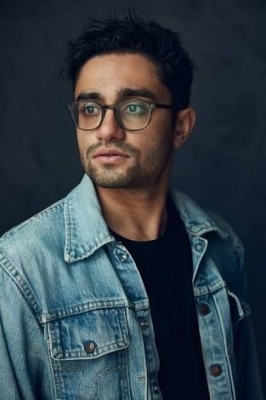 Hyderabad July 14 (IANS) After garnering rave reviews at the Sundance Film festival in the US director Aneesh Chaganty s "Searching" is set to hit the Indian screens on August 3. He says showing the film to the Indian audience is something special. Before the world gets to see the film in August Chaganty is hosting a special screening for his friends and family on Saturday here. "From premiering at Sundance to now the last few months have honestly felt like a rollercoaster-fairytale. But to be showing the film in India is obviously something special " Chaganty said in a statement. "I ve been spending time in Hyderabad since I was a kid - whether it was summer vacations of zero productivity as a middle schooler or commercial shoots as an adult. So to be showing the movie here in my parents home state and with so much family family of family and friends of family feels like an honest homecoming. I m so proud to be a part of it." The film is a thought provoking take on two modern anxieties that people face as a society - online addiction and not knowing what children friends and family are up to in the virtual world. The hyper-modern thriller told via every day communication devises will take the audience through the struggles of John Cho a widowed father who tries to track down his missing daughter through the only thing possible - her digital footprints. The movie will be released by Sony Pictures Entertainment India in the country. Chaganty had earlier directed a film called "Seeds" and was previously employed with Google s Creative Lab to create content to promote the products.